April 3, 2016 @ 2:06 p.m.
Last week they had better sound and digital projection than the AMC La Jolla screening of the same movie, doing a side-by-side comparison on consecutive days. No to forget regular theater seats that promote respectable posture for the movie, not those faux-leather lazy lounge monstrosities that make you feel you're in Charlie Sheen's private screening room. La Paloma's also one of the few local theaters that also regularly shows 35mm in this day ('The Big Lebowski' coming April 20th, 'Pulp Fiction' in May, and the Italian Film Fest this month as well). 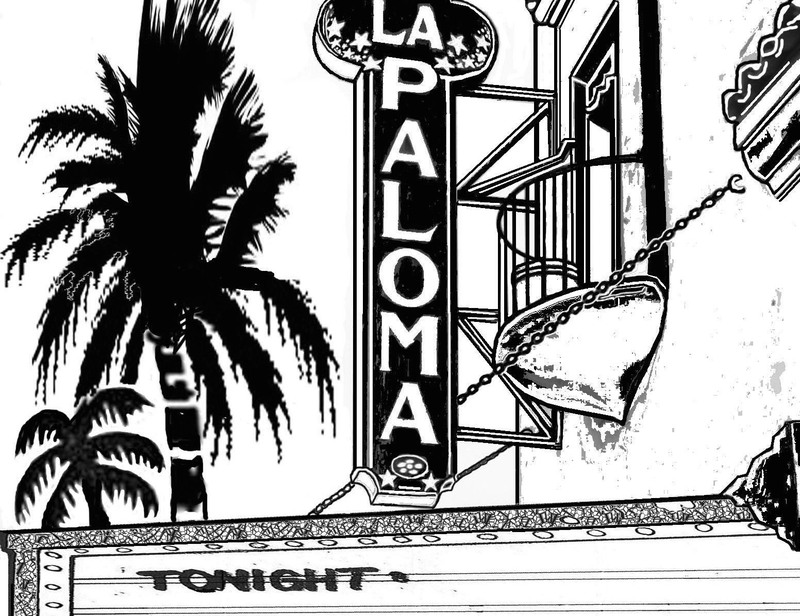 I've never worked for the La Paloma, I've had some dodgy experiences there, but it's still one of my favorites. Good to see them lasting into this damndable age of cutesy dining and boutique theaters that neglect the essentials of moviegoing pleasure.